Ethereal, eerie, slightly mystic – just a few of the words that depict nuances of what can be heard across Pentaptych. The classical medium of expression fits Ryan Lott‘s vision quite appropriately. 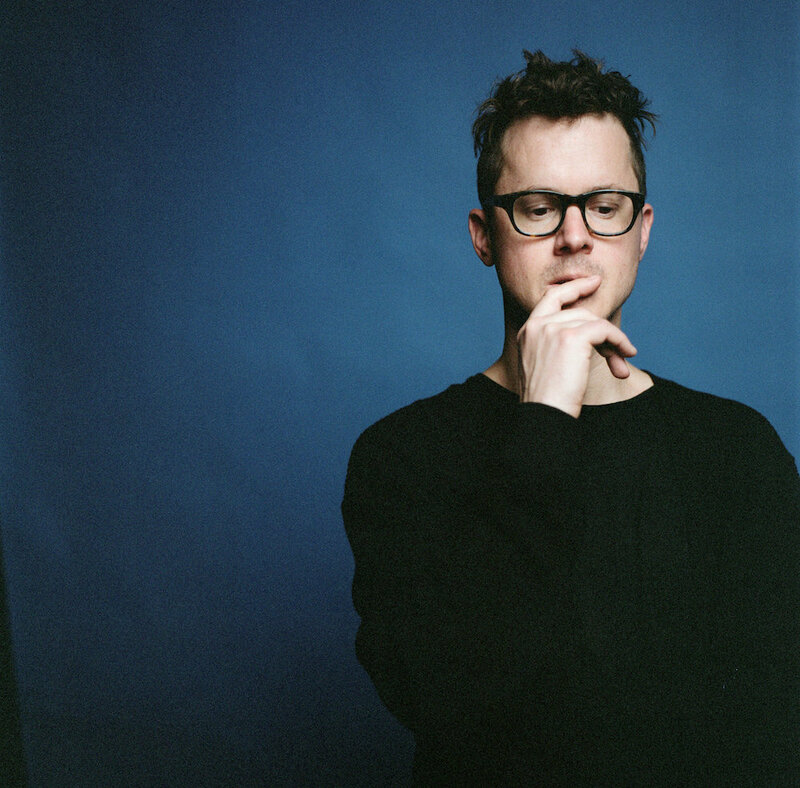 Most of you may be more familiar with Son Lux than with its founder Ryan Lott himself. Pentaptych is Lott’s first solo album under his own name, and it feels like a minimalist rendition of a systematic deconstruction of a Son Lux album. Pentaptych, as its name suggests, much rather dwells on textures and moods, and how they work within their context than anything else. Lott’s approach for this record is deceitfully simple, yet bristling with a very subtle and raw type of power. Pentaptych opens our trip with some eerie and subtle synths that glide effortlessly until they are met by the strings and keys on “Water Fields”. This blend further develops itself, driven by the violin and the empty spaces between notes, evoking a dark and weirdly soothing ambiance; this ambiance follows us to the very end, albeit in very different shapes and colors. “A Softer Blade” toys with a similar violin tune, however this time it’s held on the back of the glockenspiel layer that envelops the whole track. “Counting Atomic” employs, in stark contrast, a very percussive violin in parallel with the lead violin, syncopated with synths in a similar fashion. “Bending Glass” acts as a bridge that shifts the flow forward seamlessly; following suite, “Green Timbers” maintains a slower development, offering a very welcome alternation of dynamics. “Vibrant Matter” really lives up to its title, bringing things back to the way they were in “Counting Atomic”, albeit with a lot more shred. “No Motion”, in true interlude fashion, prepares the listener for the incoming finale: “Bright Square”, the longest of all the songs, aptly ties up whatever loose ends may have been left hanging around, and gives way to an alternate version of the opener. You see now that there’s a circular effect embedded in the very fabric of the Pentaptych. The mood of the album is quite contemplative, even melancholic at times. It also has a few unsettling parts, bordering on dark in a way, something that is highlighted by what little double bass we encounter. There’s a permanent state of otherworldlyness that seemingly extends beyond the reaches of the illustrated musical concepts. This narrative, so to say, has a very interesting quality to it, one I could only link to what can usually be found on a Toby Driver album. Around the beginning there’s also a tinge of Arvo Pärt hovering idly, which is worth noting. Pentaptych draws from post-modernist minimalism in an intriguing way, creating something that feels lightweight and easy, yet profound and riveting at the same time. These things are all emphasized by the album’s pristine production value – every little accent and note, no matter how loud or silent, is clearly audible, and all the tones dance freely with each other, manifesting as something so much greater than each composing piece. If you ask me, Ryan Lott could just continue doing this forever. Pentaptych is a mesmerizing display of composition, execution, and delivery. This is the kind of forward thinking we need more of in the realm of modern classical music. There aren’t a lot of people tapping into this potential, and Lott seems to have blasted right to the core of it. Pentaptych is not just a collection of sounds, it is a living, breathing work. It goes beyond convention and style, reaching outside of our teluric contours to take us towards places that cannot be accessed otherwise. Previous PostBody Thief - "Travel Glow"